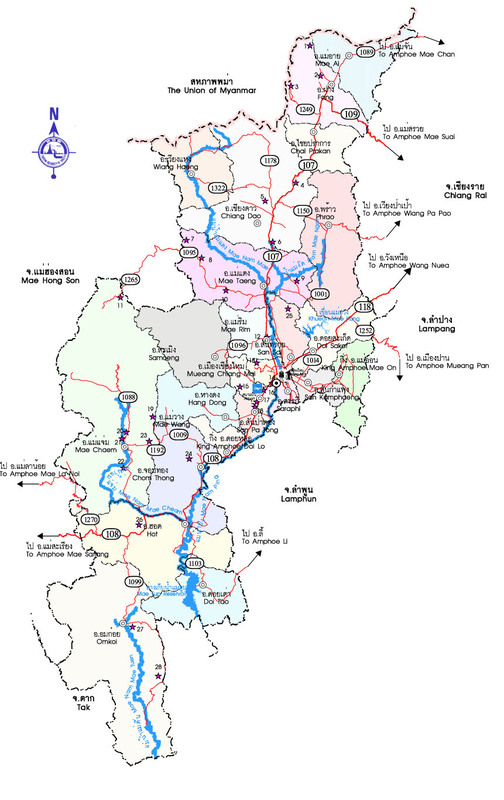 Chiang Mai: Chiang Mai is located in Thailand’s largest region - the mountainous north. Here, elephants still work the forest and winter temperatures are sufficiently cool to permit cultivation of temperate fruits such as strawberries and peaches. Chiang Mai has a striking mountain backdrop, over 300 temples and a quaint historical aura. It's also a modern, friendly, internationally-flavoured city with much to offer the visitor - food, accommodation and shopping are all top quality and cheap, and the nights are relatively cool.